These photos are from October, back before the computer died. 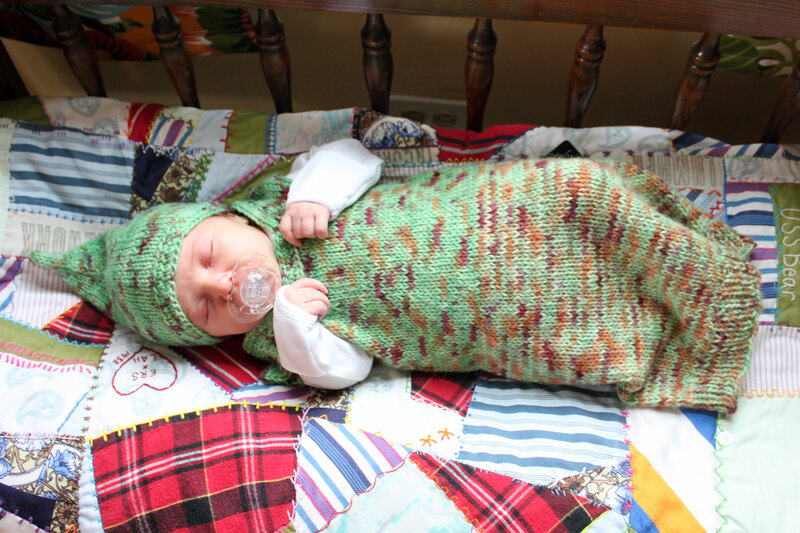 I made a baby sleep sack or bunting, or whatever you want to call it, and a sweet little elfish hat to go with it. I bought this yarn in 2008 when we were just starting to entertain the idea of a second child. I thought this warm. soft alpaca would make a darling bunting and hat for a baby of either gender. But then somehow I never even got around to starting the project for Worth, so it’s a good thing I had a third baby and was able to use this yarn! I based the sack around the Zodiac pattern on Ravelry, but kind of did my own thing with it. 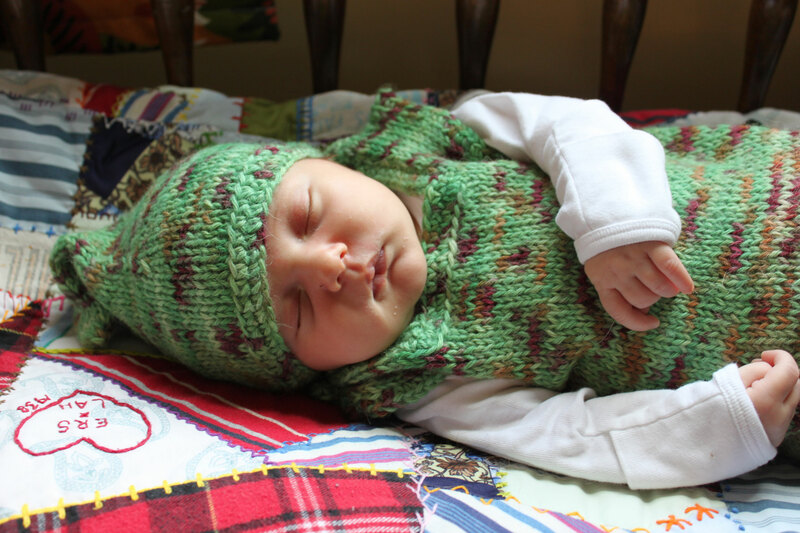 The hat, likewise, is just a typical knitted baby beanie, but at the second-to-last decrease I stopped decreasing and just added length instead. The sack is beautifully warm and wonderful for cozy days at home, but unfortunately isn’t car seat friendly, so it hasn’t gotten as much use at it deserves. The hat she is wearing constantly, because we figured out that when she’s stuck to the front of me in the mei tai and is wearing this hat with the tip sticking up, it looks just like I’m babywearing one of Santa’s little helpers and it makes every single person I encounter get a big grin on their face. It’s like my tiny Christmas gift to all the other Costco shoppers. Beautiful. She looks so cozy.